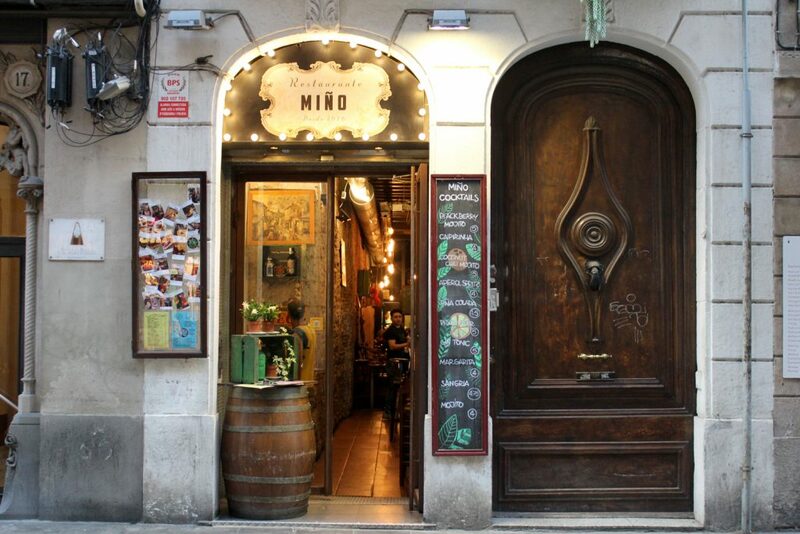 Restaurante Miño – entrance.Since I arrived in Barcelona I couldn’t wait to try the local cuisine and have a taste of what Spanish food has to offer. And I happy to say that Restaurant Miño, not only provided us an OUTSTANDING dinner but also kept the bar super high regarding to Spanish food. What meal my friends, what a meal!!!! 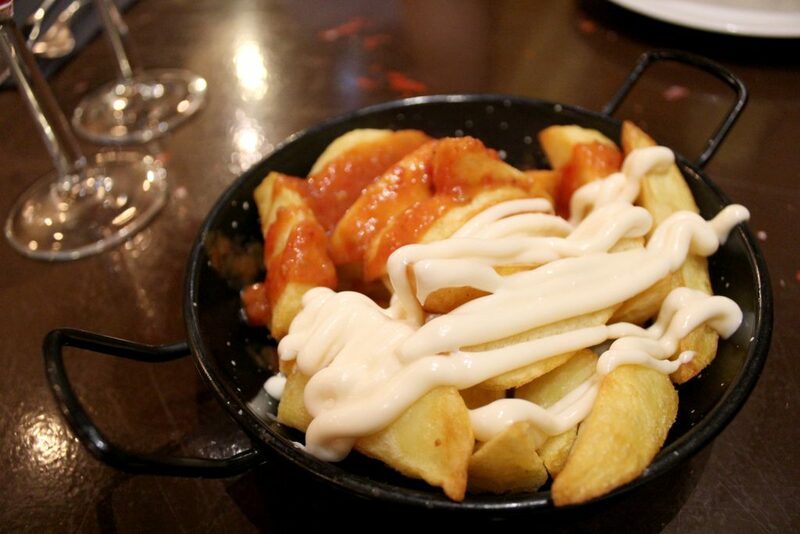 Tapas – Queso Seco, Tortilla de patatas, and Patatas bravas. 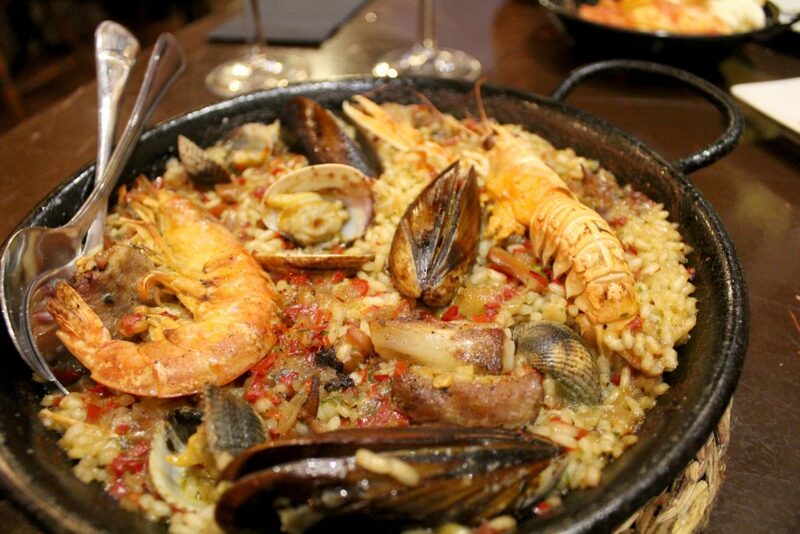 Paella Mixta – seafood and pork. 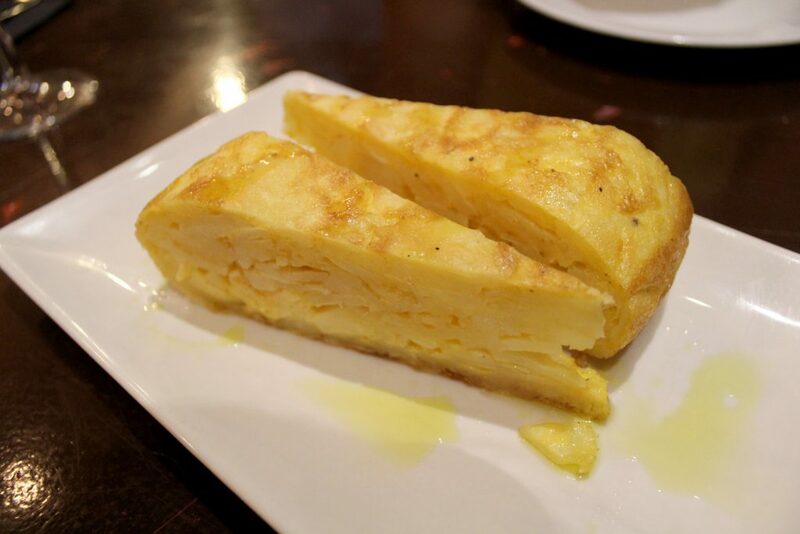 Tapas – Tortilla de patatas. 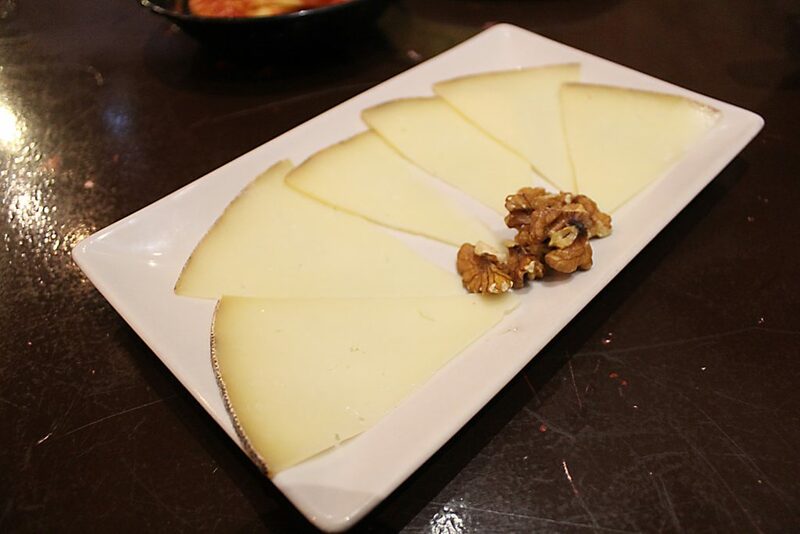 I loved their tapas, It was good to try samples of very traditional Spanish dishes in a single meal. 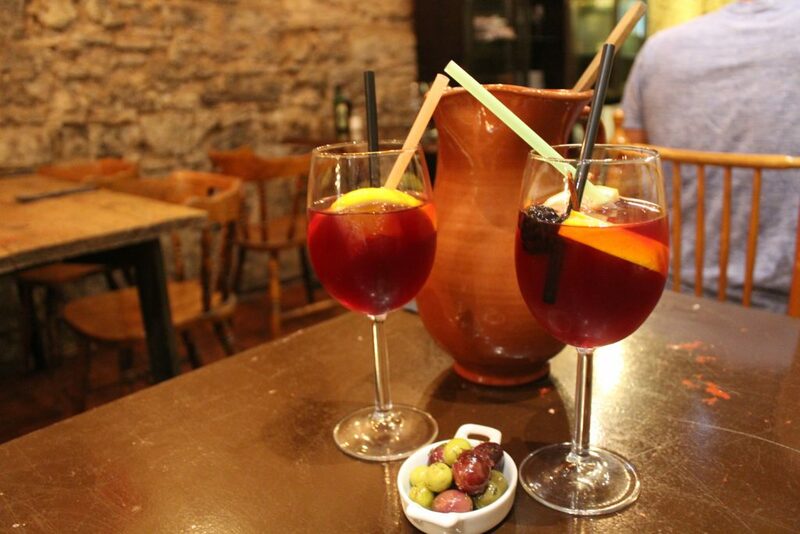 Sangria was extremely good too. Now turning to the paella, let’s have a very serious talk now. I’m not a seafood fan, I can eat but seafood is never my top preference when eating out. Why having a seafood paella then? Firstly, I like to be surprised, secondly, I like to try the traditional and local cuisine, and finally, I like to take risks. And, I’m so happy, so fu*ing happy when I get the chance to change my personal preferences for some foods. This paella was one of THE BEST THINGS I’VE EVER EATEN IN MY LIFE! Seriously people, I dream about it since then. This was just spectacular, I have no adjectives enough to recommend it. Just go there!!! Amazing atmosphere, great service, and outstanding food. Please, do me a favor and go there! You can check more posts here on the blog about my holidays in Europe and also everything I published about Spain.